Nowadays most of the websites ask you to enter your phone number for verification while registering. They do this to verify whether you are a real user or just a bot. A few years ago, giving your email address was enough, but nowadays many of the websites ask for a phone number as well. There are many websites on which if you enter your email address and phone number for verification purpose, they start sending you a lot of promotional emails and messages that may be annoying. Sometimes they sell the email addresses and mobile numbers to marketing companies as well. 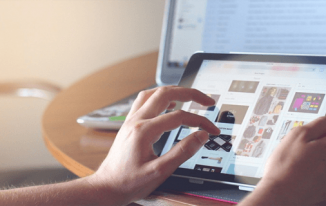 Due to these reasons, many temporary email address generator sites came into use from where you can get an email address, and enter on a website while registering. When they send a verification email, you can access to that email message and verify your registration. This way, your purpose of verification gets fulfilled, and you don’t have to tolerate promotional emails later as you have used a virtual temporary email address that you won’t be using anymore. In a similar fashion, due to the increasing number of websites asking for a phone number while registration, there comes a number of sites from which you can select a random phone number, and use it for registration. And, you can access the SMS you get on that particular number as well to verify. 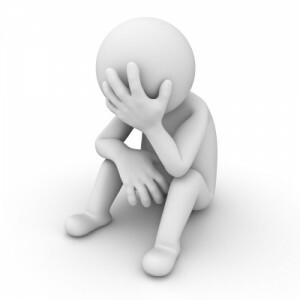 There are many websites that only accept mobile numbers from a specific country. Suppose a website only accepts US number, and you are in India. But, you desperately need to sign up to that site. Then, you can use a virtual US number from one of those sites, and sign up successfully. Some sites offer public numbers due to which anyone can read the messages that those listed numbers receive. A few sites offer private ones too. It is up to you to use whether public or private virtual numbers. Note: Don’t use such numbers on important accounts such Gmail, Facebook, Net banking, etc. Use these numbers only for submission sites mostly. In this post, I am going talk about a few sites to receive SMS online without using your actual phone number. 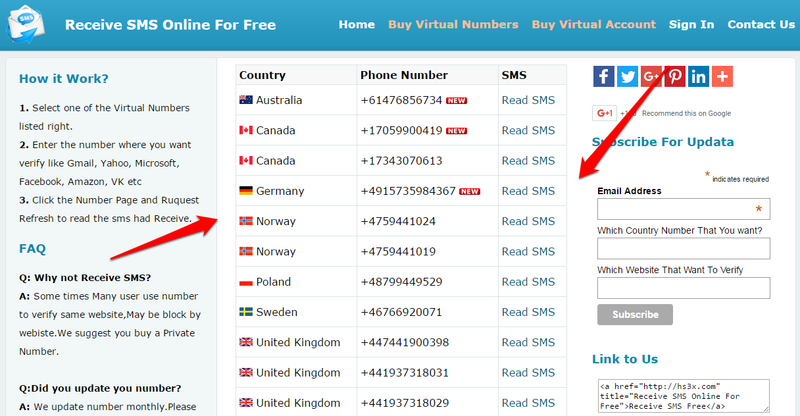 FreeOnlinePhone.org is a site that offers you various phone numbers from different countries that you can use while signing up or for other purposes. Mind it that the numbers listed on the site are public. Any SMS comes to these numbers are public and can read by anyone. So, use it accordingly. As you can see in the above screenshot, you can use the number, and to read the SMS, click on Read SMS where all the recent messages are displayed. Receivesmsonline.net is another site for receiving SMS online without using your actual phone number. This website offers a list of numbers that you can use anywhere, and for checking the received SMS, you have to click on Read SMS. If you don’t see the messaged received, refresh the page and see. Sellaite.com is just another site to receive SMS without using your own phone number. You just have to visit the site, and use the number given on the top, and you can read the SMS by clicking on Read SMS. Now, this is a great site as it has working numbers on its list and the site is not filled with so many ads and all. I liked the site’s home page very much. You can find numbers of different countries like US, Canada, Germany, Norway, etc. that you can use for various purposes. You can read SMS by clicking on Read SMS. All the SMS that are received by these numbers are publicly viewable. They also offer private numbers that cannot be accessed publicly, and only you can use those numbers. But, for that, you have to buy those virtual phone numbers. On this website, you can use free public virtual numbers and read the SMS for verification purpose. However, if you need private virtual numbers, you need to buy them on this website. 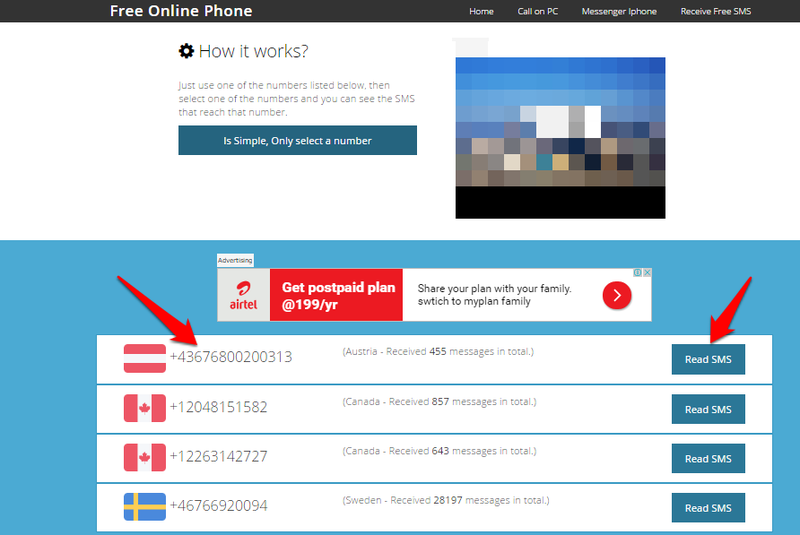 It offers numbers of various countries such as US, UK, Belgium, Poland, Spain, Finland, Norway, and Sweden. There is a long list of such sites that offer you virtual public and private numbers to receive SMS online. As I said earlier in the article that you may need such virtual numbers to receive SMS from a number of websites that you can use on the sites you use one time or they are not that important, or you just need to enter the number once for verification. You may not want to enter your actual phone number for verification purpose because many sites start sending you promotional messages later. There might be other reasons as well. So, these virtual numbers are handy to use mainly for receiving verification SMS. Also, there are times when you have to sign up to a website using different accounts, and your actual number was used many times already. Due to which that site stops accepting your number anymore. In such situation, these numbers are good to use. 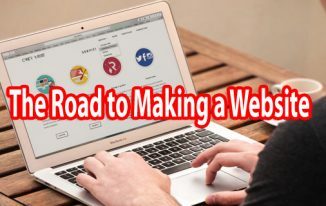 I am sure you can make most out of these websites because working into Blogging and SEO; you may need to sign up to many submissions sites where you don’t want to share your actual phone numbers. 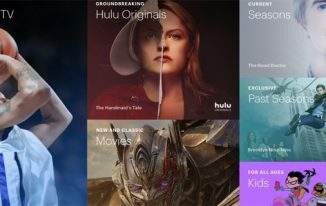 What do you think about these sites? Please share your views via comment. Things You Should Know About Android N => Nougat. True it is. Most of the times they sell those email IDs & phone numbers that results in getting messages from unwanted sites. These list of websites will be helpful to anyone who might not want to share their actual details for security or some other reason. Thanks for the share Atish. You reminded of the time when I was at my school. There used be SMS plan at that time which allowed sending unlimited sms within low cost. Leaving that aside let’s come to your post. I everyday get nearly 30-40 notifications daily on my phone. I don’t know where they come from? These sms are really helpful somehow to grow your reach. Thanks for sharing wonderful tips with us. I will try your strategy and let you know through my feedback. here at your blog after a long time! Well, I didn’t know any such services existed, but glad that I know it now. It’s very useful for registering at sites wanting your phone number to reduce spam. I will definitely give them a try. Will particularly help me with such sites! Where were you disappeared? didn’t see bloggingjunction.com updated since long? Yes, such sites exist, and great for people who used to signup in bulk for submissions. Got busy with college and stuff. Even though the blog was doing well, I suddenly lost interest in that one and a month back I took it down. I am working on AhemAhem these days and a few other projects. What’s up with you? Great post Atish! This is really helpful and lessens the hassle of getting promotional/ spam messages in your mobile number. This is a really good roundup. I have used similar services before, however you had to provide your contact number to use them. Initially, this may sound risk-free but these service providers start abusing your personal info for marketing content that you might not be interested in. Also, they might sell the information to other firms. The services highlighted here are a safe bet if you want to keep your private info to yourself. Thanks for sharing and you have a wonderful day ahead! Superb List of SMS Sites, Thanks for shared, I will try them. Well isn’t this great news to me! There are so many times I don’t opt into something because I won’t give my phone number out. Now I see how I can do it. I always wondered how this was done when I do receive calls lol. Good to know that you can use these services in many ways. Many of these websites do offer you private numbers as well which will be accessible only by you, and that will not be public. So, you can use them accordingly. Should turn out to be very helpful. Especially if need extra numbers for Gmail security verification, but think would need to invest in a private one for that? You can use public numbers for free. But, if you want a private number you have to spend some money buying them. Just for verification, public numbers are fine to use. Needed Information it was. one question can we use these numbers for long time period aur does they have any expiry date. and thans for the information that is beautifully explained. Whenever you will open the sites, the number you see there, you can use them. Not all number stays forever as far as I know. They keep on updating the new numbers. We created a site to receive SMS – we want to make it so that the numbers are updated regularly and is simple fast and easy. 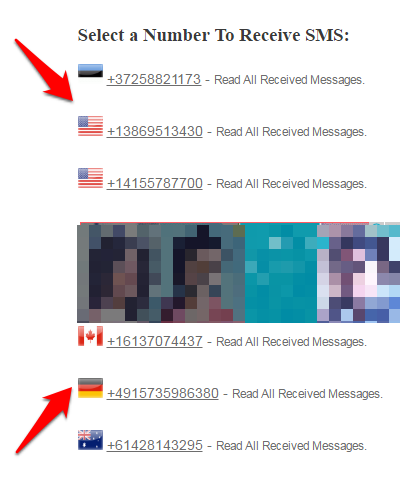 The site is receivesms.cc – it’s UK numbers first, then will add international soon. Your site looks great. All the best.